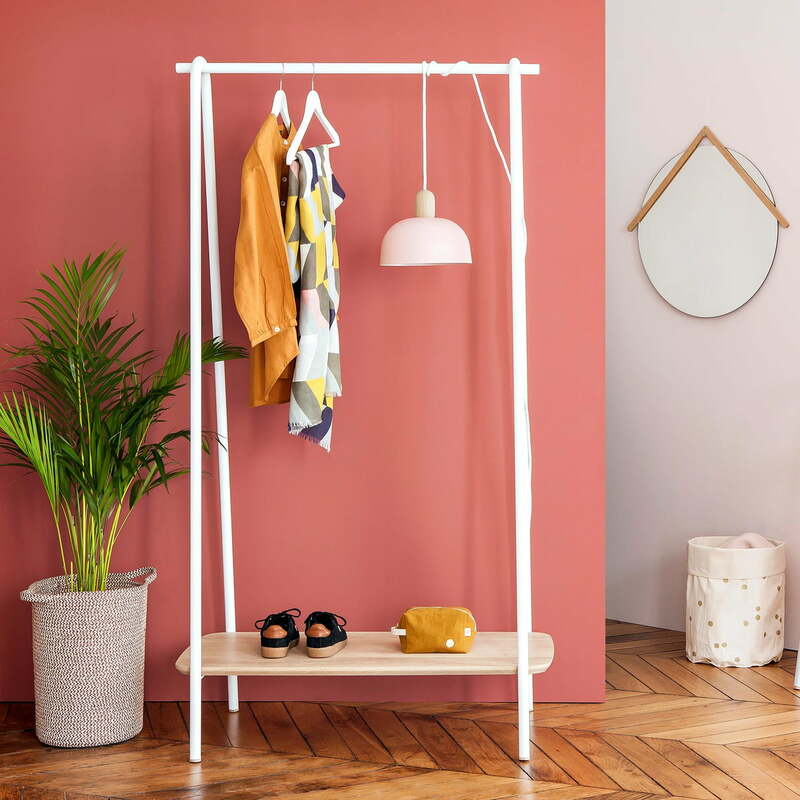 The Lucien hall stand of Hartô is a simple and practical helper, that can be set up in the hallway or in the bedroom and is ideal to hang up coats and jackets as well as to store shoes. The hall stand was designed by Guillaume Delvigne. The Lucien coat stand consists of a tubular metal frame which is available in different matt lacquers. The lower shelf for shoes and bags consists of solid oak. The clothes rack can be completed with hooks and coat hangers to hang up coats and jackets. The metal bar also offers place for scarves and towels while the oak shelf is perfect for bag and shoes. Isolated product image of the Lucien Hall Stand by Hartô in oak / light grey (RAL 7035). 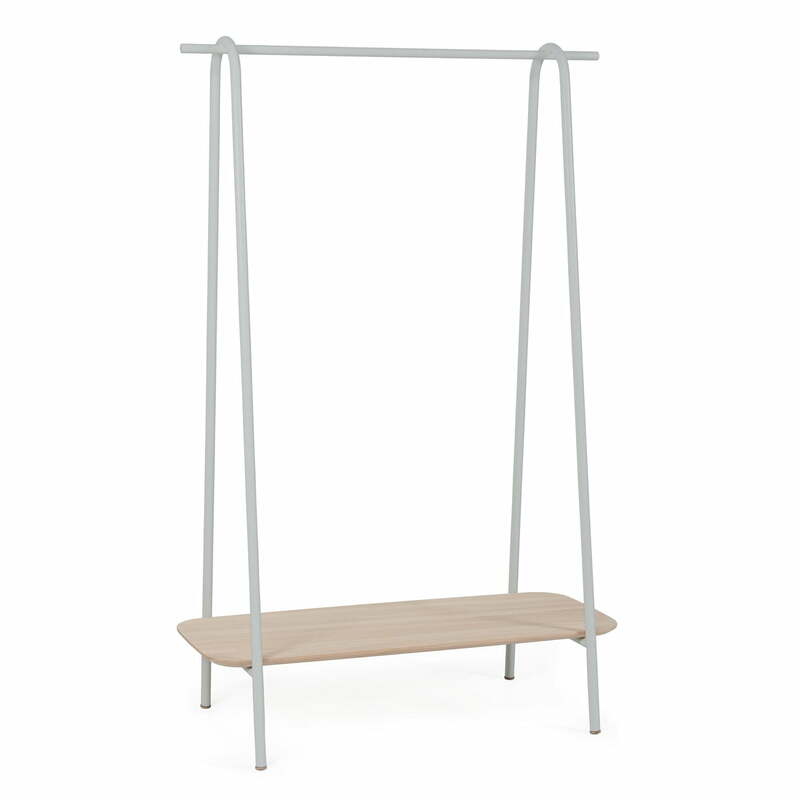 The hall stand was designed by Guillaume Delvigne and is ideal for the bedroom and hallway. The Lucien coat stand consists of a tubular metal frame which is available in different matt lacquers. The lower shelf for shoes, bags and the like consists of solid oak.